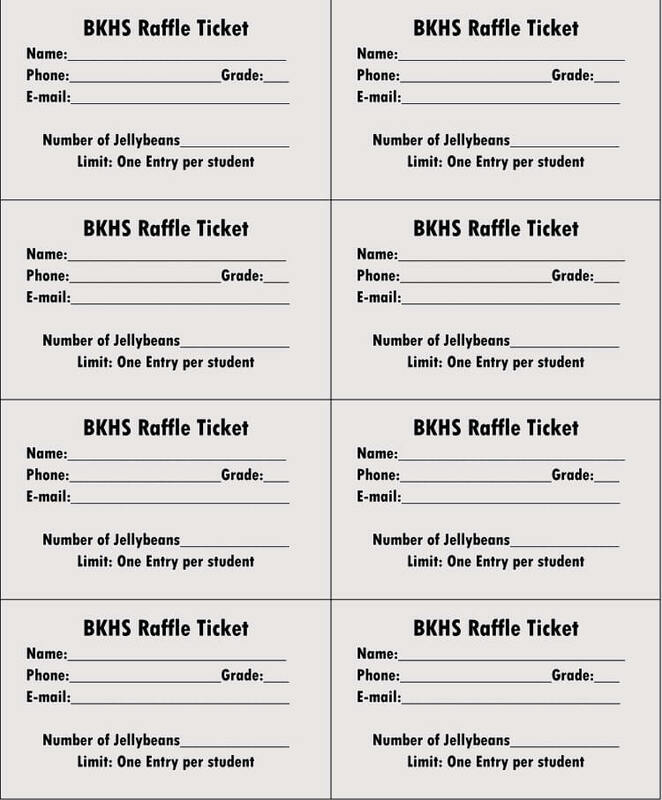 If you are looking to earn money for a school, club, or organization, one of the things that you often turn to is the help of a raffle. With a raffle you can earn money while giving everyone a chance to win something big and exciting. 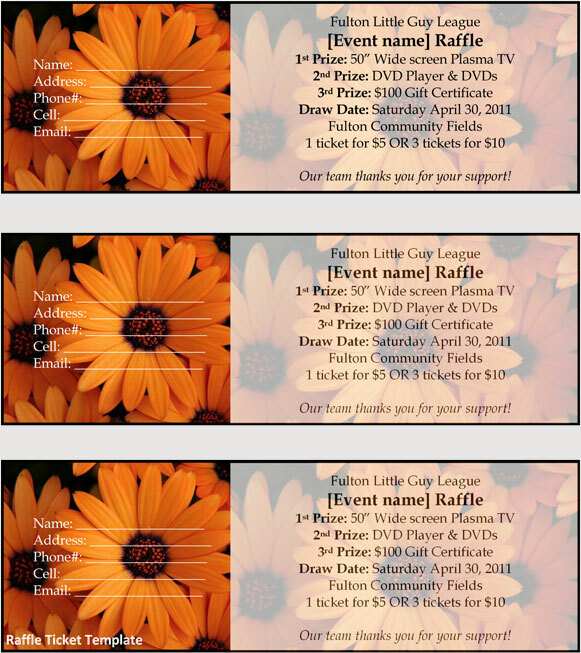 You can use a raffle for a variety of purposes, and it is simple to put together. 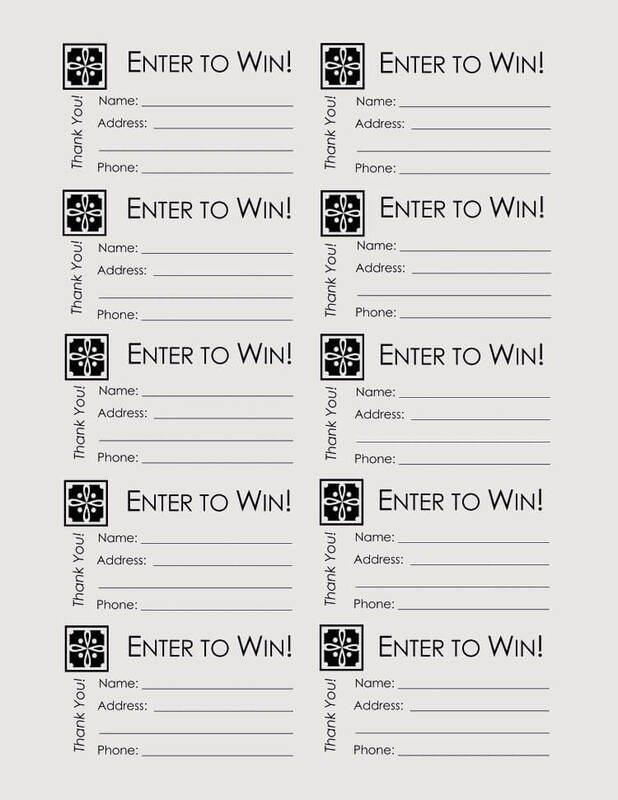 One of the things that you need when you are hosting a raffle, though, is raffle ticket. 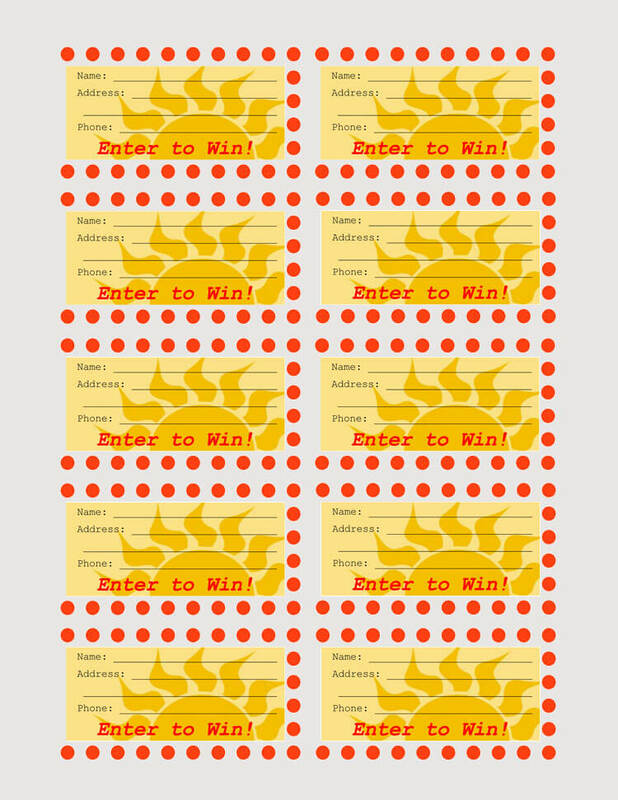 You need a way to track just who has entered the drawing and you need a way to choose a winner. 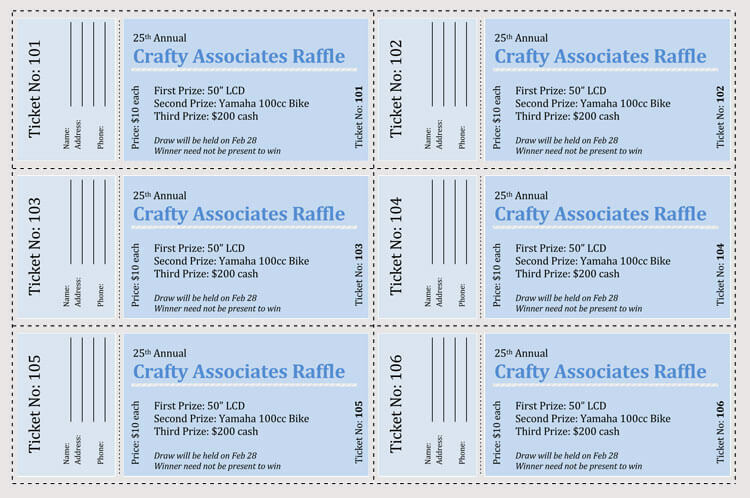 You can use raffle ticket templates to create raffle tickets that are appropriate for the raffle that you are putting on. 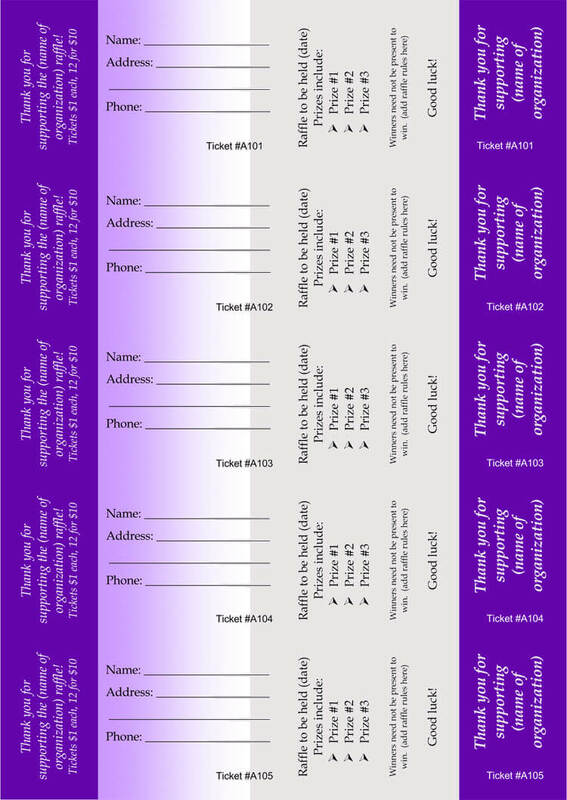 Through the help of raffle ticket templates you can create raffle tickets that are perfect for your school, club, or organization. 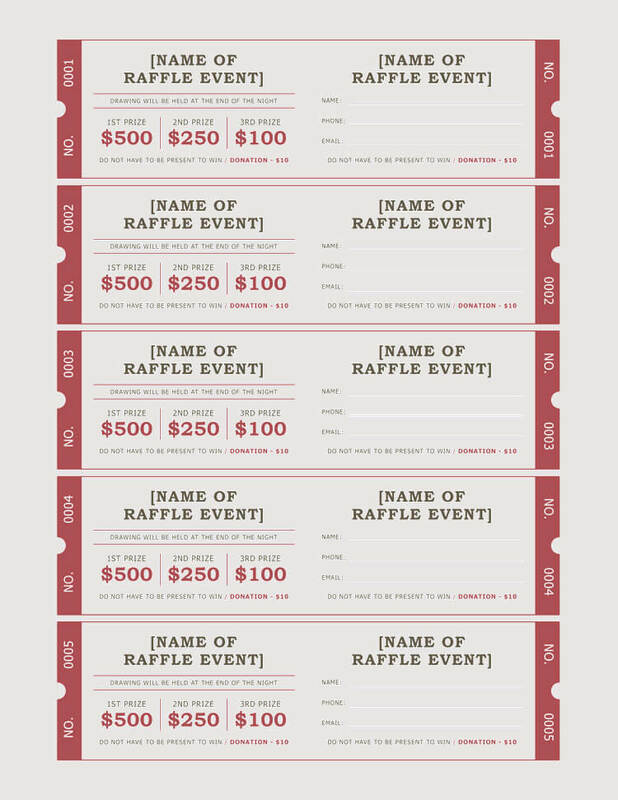 You can create raffle ticket templates that are made specifically to meet your needs. 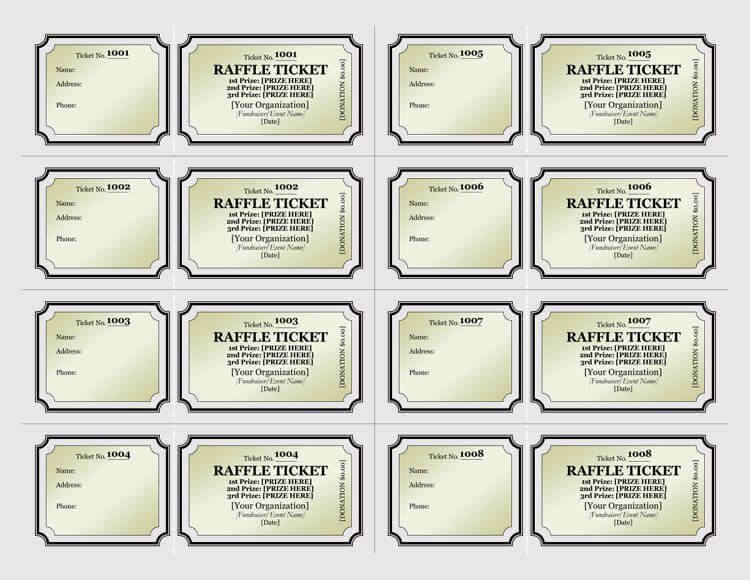 You can use raffle ticket templates in the way that you want, and you can customize the raffle tickets that you create through the help of the templates. 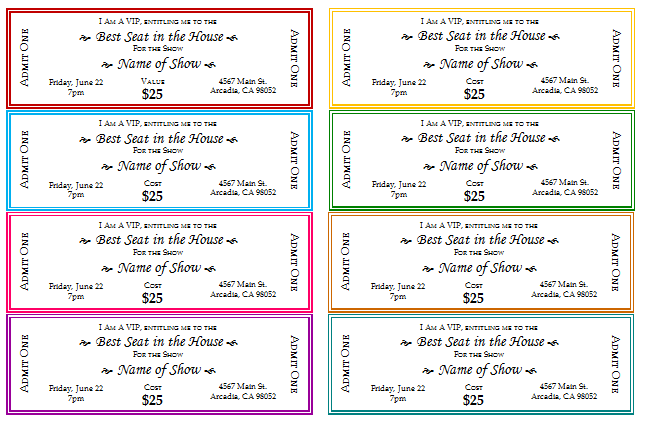 Raffle ticket templates give you the basic form that you need for a raffle ticket, and then you get to decide how you want to change these up. 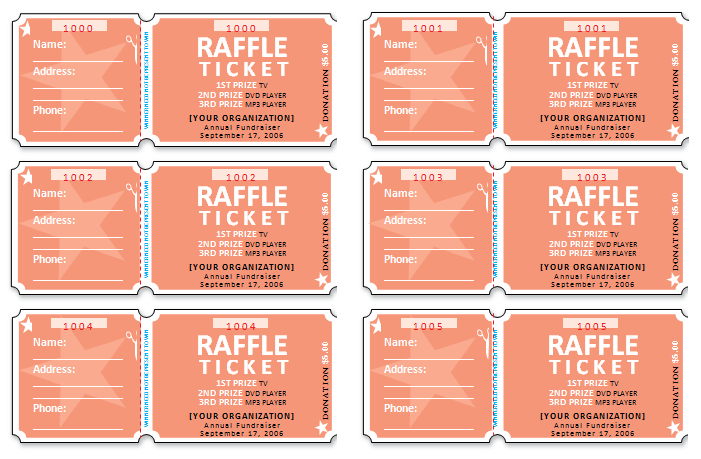 You can choose from all of the raffle ticket templates available to find the one that best fits with you and you needs and then you can adjust it to make it a perfect fit. 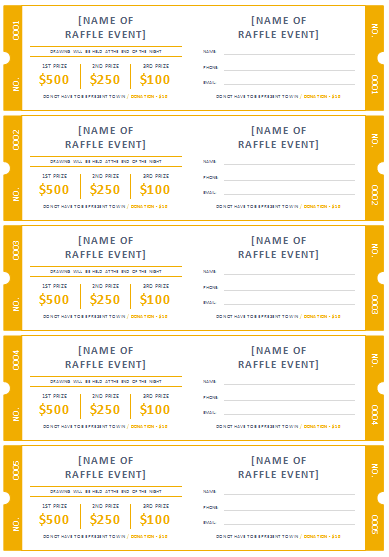 You can use these raffle ticket templates to create a ticket that is perfect for the raffle that you are organizing and then you can get out there and start selling the tickets. 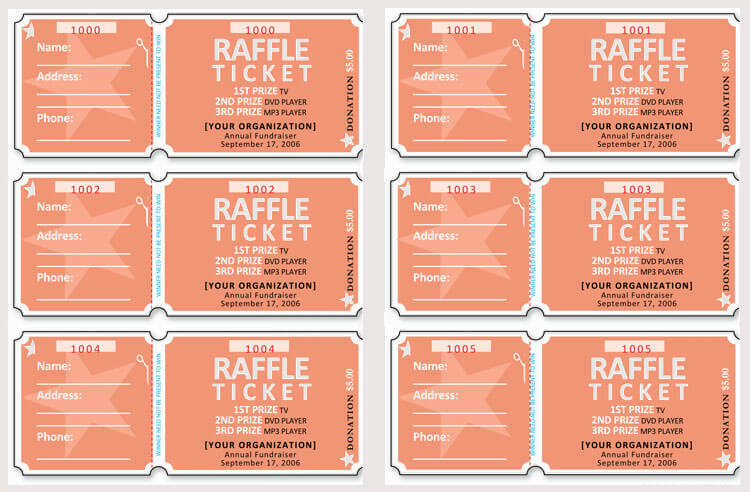 Your raffle planning is made easier through the help of these raffle ticket templates, allowing you to pay attention to other details. 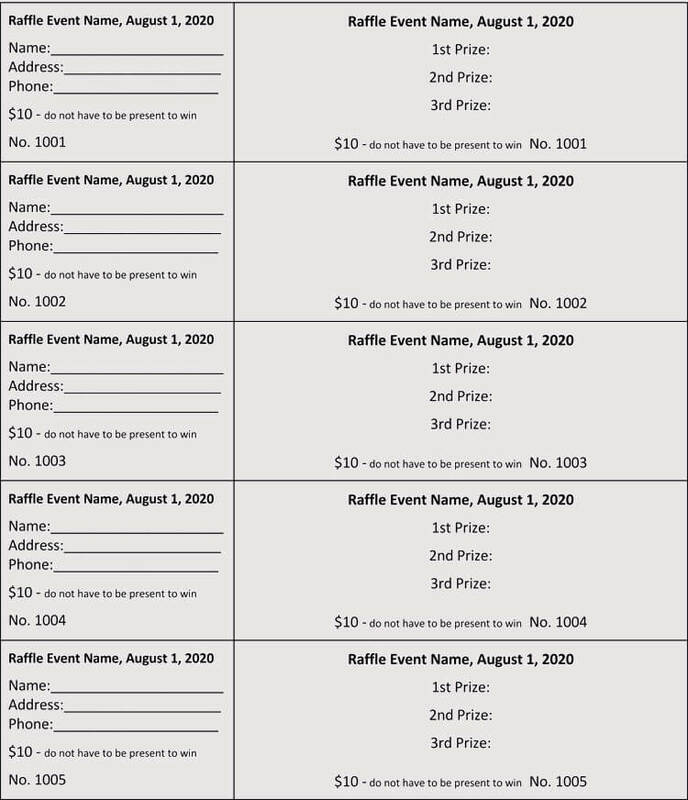 Raffle tickets are becoming more and more common. They are mostly used to raise funds for various events. The main reason why people have found them useful is that they successfully lots of lure people into participating. 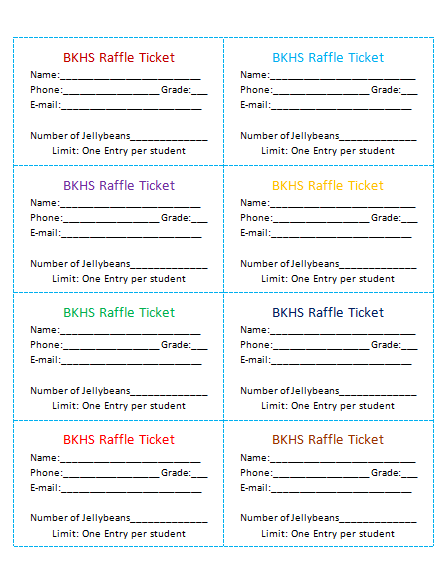 Raffles put the fun in fundraising. We all know that people are more willing to participate in fundraising events if they are offered an incentive. 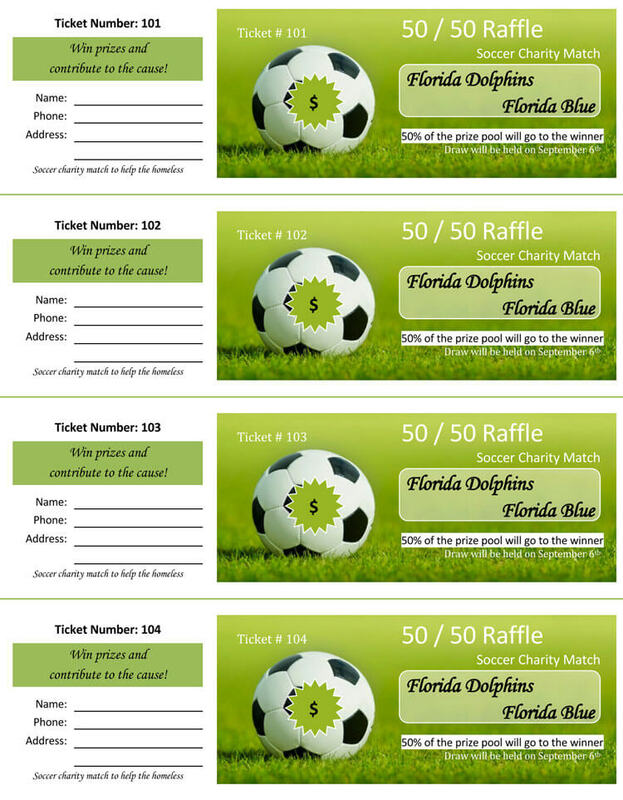 Now that we know how important raffle tickets are, how do we actually come up with them. 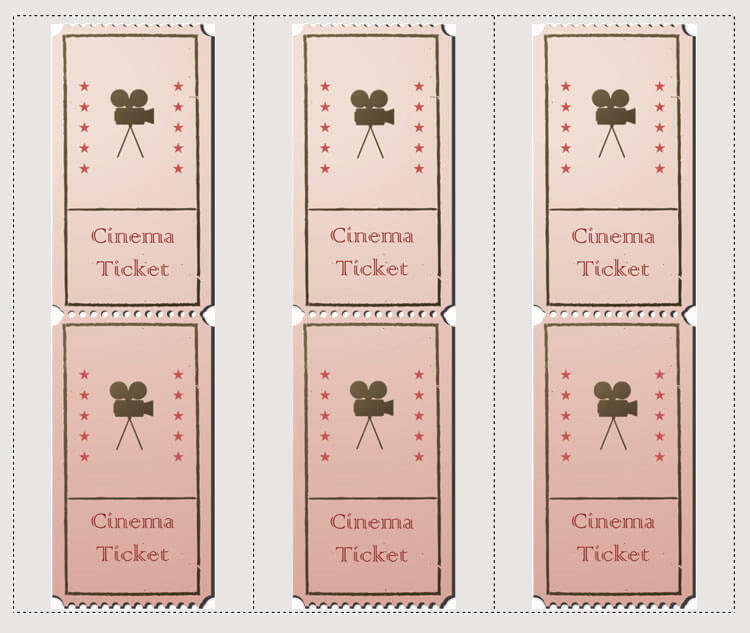 Designing a raffle ticket is not that easy. You need to make them as attractive as possible but not too much such that the goal of the event is overshadowed. We realized this issue and have prepared 45 templates for you to choose from. All you need to do is select the one you like and modify it to suit your event. You can also make multiple copies easily as we have explained below. The first step is not complicated; once you locate the template that you like you open it using Microsoft Word and edit the wording to whatever your event is about. Good! Now we just need to make copies. 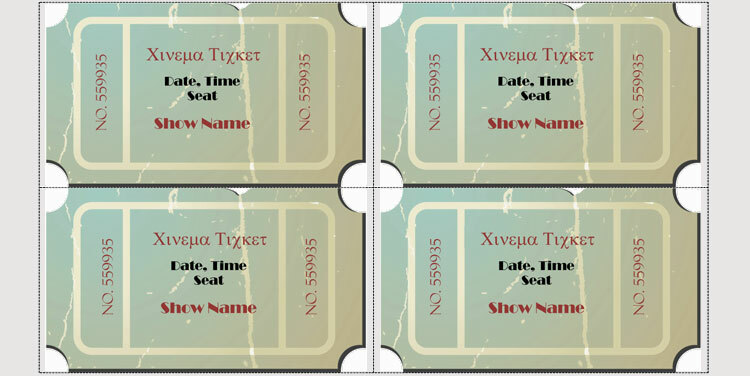 In order to do this, you first need to have an excel worksheet with the data you would want to put in the tickets. 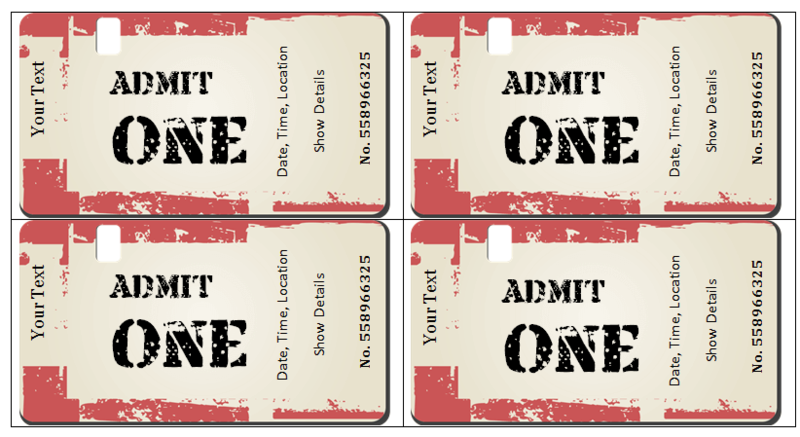 In a simple case, the data is the sequential ticket numbers. If you do not have your datasheet already, here’s how to go about it. Search for Microsoft Excel in your computer and run it. After it opens, go to the top right corner of the worksheet, which is the first cell, and enter a title. In the cell below the title enter the first ticket number. Now if move the cursor to the bottom right corner of the second cell, it will change to a thin solid-black plus symbol. 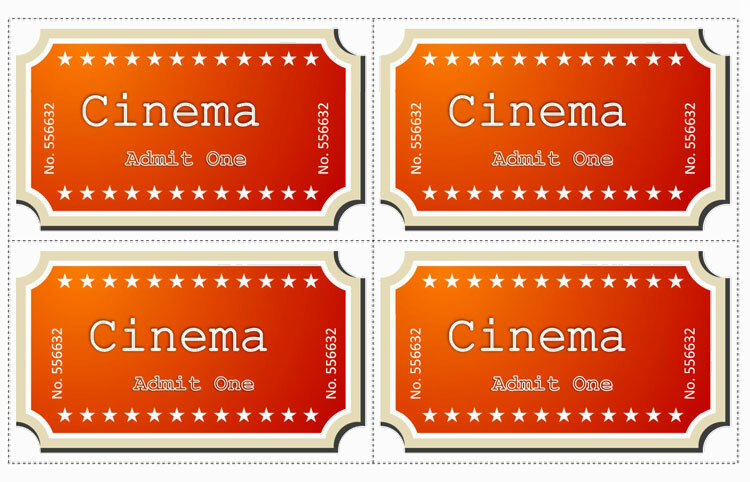 Click and drag downwards until you reach your desired number of tickets. You can track this by observing the labeling on the cells. If you did it correctly all the cells now have the same value. Right after you release the drag, an edit option will appear. Click it and you now see five autofill options. Select the second one which says ‘Fill Series’. This changes your list to a series of sequential numbers. Save this document and take note of its location. We are done with spreadsheets for now. Go back to your word document. 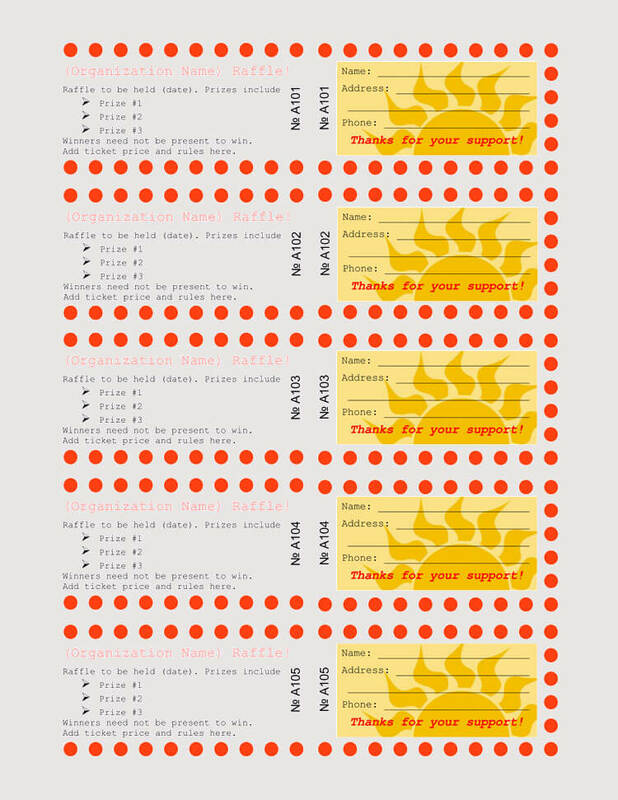 We want to fit as many tickets as we can in one page. Since we are having a fundraiser event, it only makes sense that we should cut on costs. To achieve this, you will have to reduce the margins of the page to about half an inch all round. Go to the menu bar and select page layout. 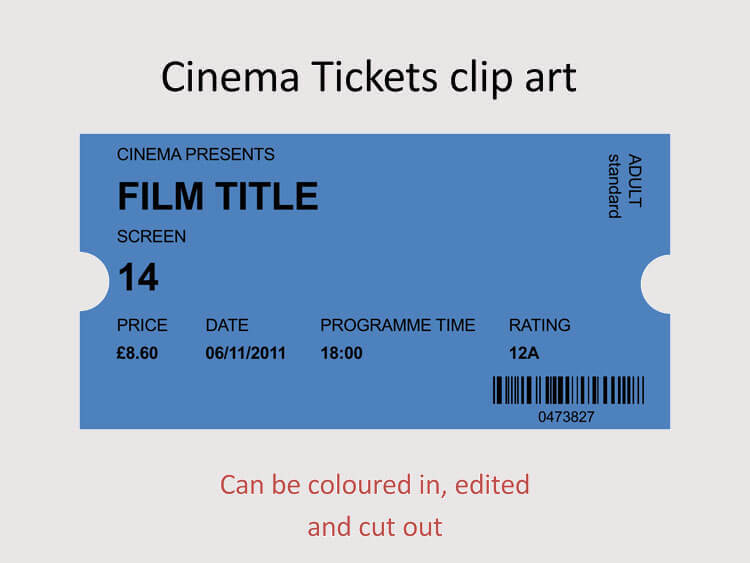 On the tool bar below, click the left most icon which says ‘Margins’ and from the drop-down list select the third option which gives you a margin of 0.5inches all round. Now create a table and in the first cell paste your template. Click ‘Mailings’ on the menu bar and select ‘Start Mail Merge’ from the tool bar. From the drop-down list select ‘labels’. A dialog box will appear with some label options. Just close it since we do not need it. We will now go back to the tool bar and click on ‘Select recipient list’. This will open a file browser where you will select the Excel spreadsheet that we previously created. Click ‘Okay’ all through till you are done. Now most of the other tool bar options are no longer greyed out. Put the cursor at the desired location and select ‘Insert Merge Field’. This is where the ticket numbers will be placed when we are done. Place them accordingly in the raffle ticket. 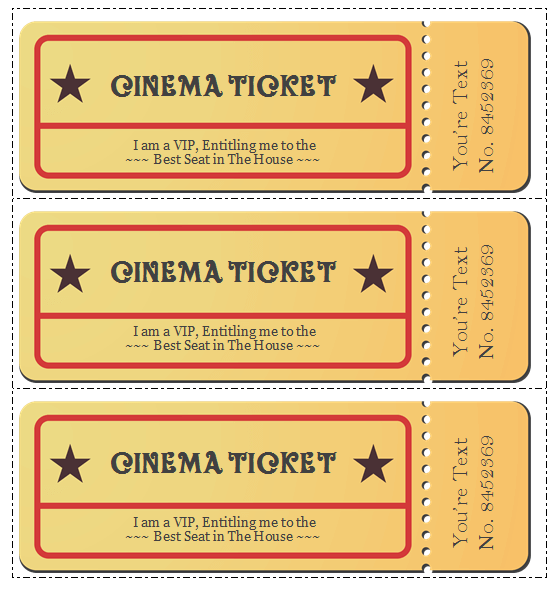 Once you are comfortable with the ticket, still in the mailings tab, click on ‘Update labels’. This fill the rest of the cells in the table with the same design. 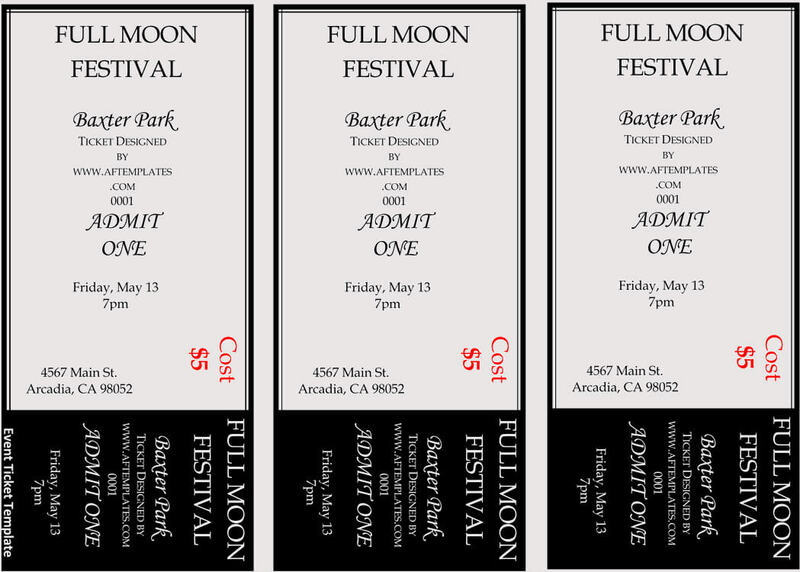 Here you can now do some extra formatting to make sure you get as many tickets from one page as you can. Once you are satisfied you can select ‘Preview Results’ to see what it looks like. Now click ‘Finish and Merge’, from the drop-down list select ‘Edit individual documents’ and click ‘Ok’. And that’s it! 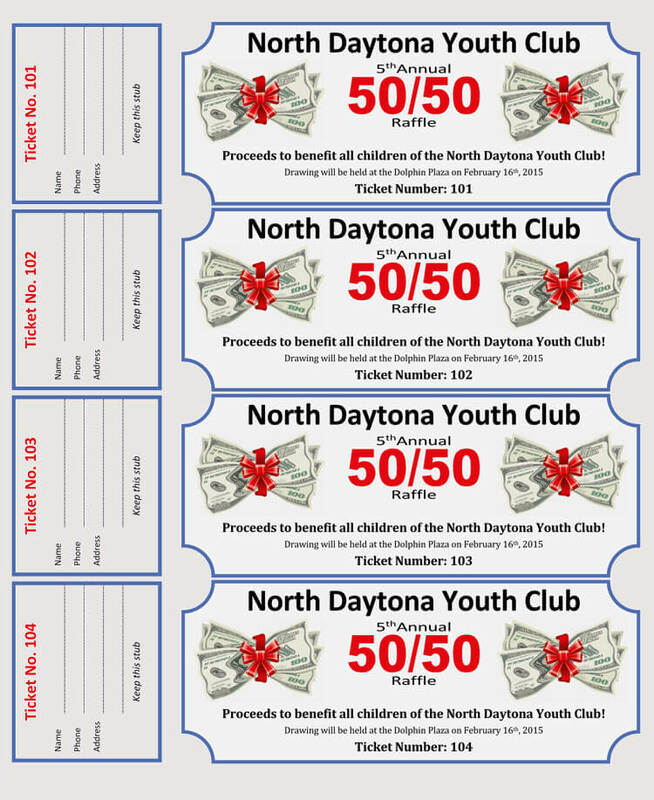 Now that you have your raffle tickets ready. 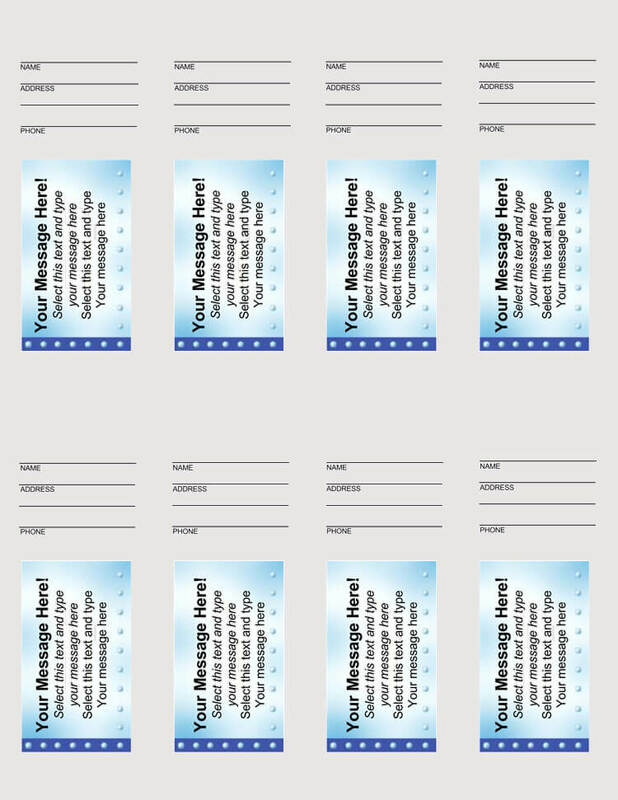 All that’s left is to cut them out, distribute and have your wonderful event. 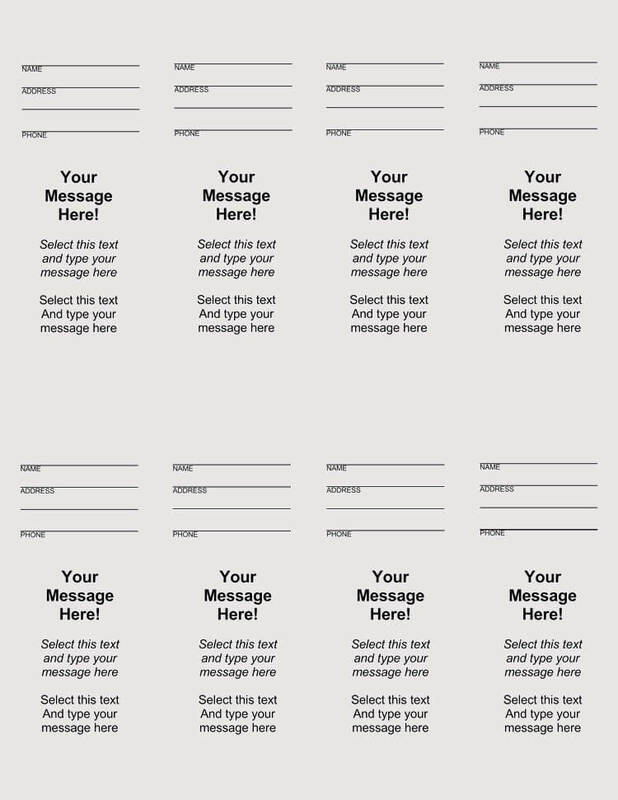 We have 45 free templates for you to choose from. 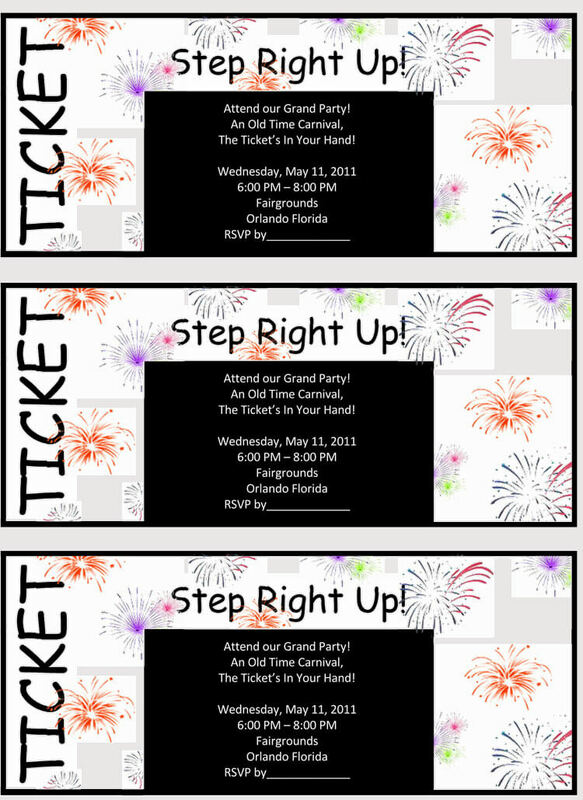 Check them out today and with these easy steps you will have everything ready for your event.